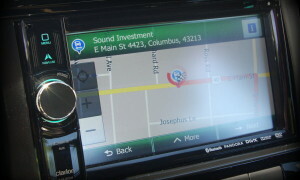 Sound Investment has been building and installing navigation systems for many years. Today we have state of the art navigation systems, including in-dash and smartphone integration. In our Navigator and Explorer 1 on 1 Session, our Sound Investment specials help you to understand how to use your new navigation system, so you can spend less time trying to read an instruction manual, and more time enjoying life. I had them install cruise control in my 2012 Chevy Sonic over a year ago and I couldn’t even tell they were in the car. The workmanship was perfect and they are very professional. I will return again for sure when I need something else done. The cruise is still working perfect.